Cut each slice of bread into triangles. Arrange half of slices, points slightly overlapping, in a 8” square baking pan. 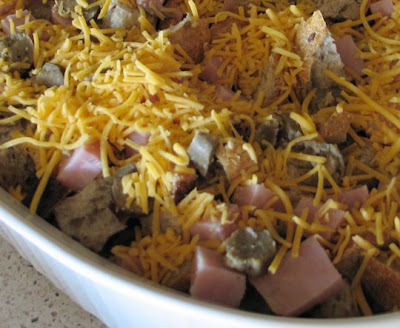 Sprinkle with half the cheese and half the ham. Repeat. 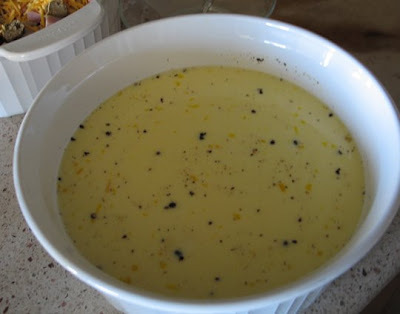 Beat milk and eggs together, then pour over the bread and cheese. Cover and refrigerate overnight. Bake uncovered at 325 for 60 minutes or until mixture is puffy and light golden brown. Serve immediately. Yummy! 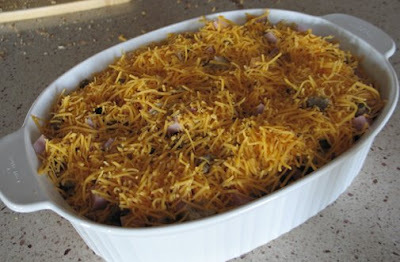 I'm a little short on recipes for casseroles, so I just might come back and use this one someday! Sounds yummy! Hope you had a wonderful Merry Christmas! 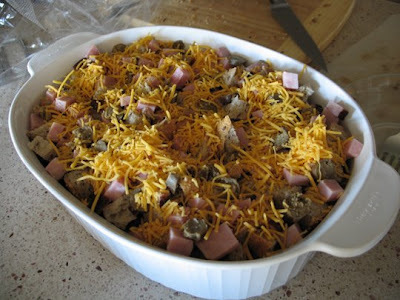 We have a traditional Christmas brunch casserole as well, but I will definitely try this for my MOPS meeting. Thanks!! Yumm! Can't wait to try this one. Will definitely add the extra veggies. Thank you! Loved this recipe when I first saw it, however, the link to annie's recipe site does not work anymore. Can you please email me the recipe?